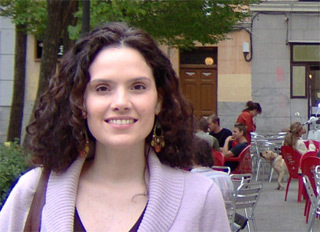 Born and raised in Venezuela, I came to Madrid in 2003 to get a master’s degree and have stayed in Spain ever since. Traveling is a big part of my life. Not only do I love to get to know new and wonderful places like a local but revisiting old favorites with family and friends is equally exciting. I love to walk around cities and getting lost, and Madrid is the perfect place for that. Always under the bluest sky you could ever see. Impossible to get tired of because there is always something new or interesting to discover. It can be a restaurant or a building, a park or a busy street with new shops. Art lovers, sports lovers, night-life lovers, park lovers and food lovers would be inspired by Madrid. The city keeps getting better, I feel like I have seen it improve so much since I first came here. Discovering what’s new and revisiting old favorites is a treat, getting to share that experience is what makes it truly special. Can’t wait to share the Madrid I love with you.